The Hammer Strikes! : That's it. I'm done. I'm pretty sure that you've ll heard about the latest from Marvel, giving Thor's power & responsibility to a woman because there are obviously no other strong, female characters in their pantheon. You know, no one that has been in two movie and an episode of their TV show and, in all instances, shown as a smart, strong, and capable woman. Nope, none of them around, so we have to turn one of our male characters female. Talk about your lazy writing. Why wouldn't you want to create a new character and not use Sif (sorry, did I spoil what I was saying before)? It's not like there's Idun, Freja, Frigga, or any of the goddesses that Marvel has already created lying around waiting to be used. Heck, let's just make up a character out of whole cloth and give her the powers of Thor. Why bother giving an existing character any kind of development? Let me make one more point here, I have no problem, none what so ever, with a woman being able to heft Mjolnir (Captain America did it) or even getting the powers of Thor (Beta Ray Bill did it). What I have a problem with is Marvel saying that the only way a woman can do either of those things is if Thor is no longer worthy of the title of Thunder God. Saying that the only way a woman can get ahead is if a man is ousted is the completely wrong message to send. Why couldn't we do the same thing that we did with Beta Ray Bill and have her heft the hammer and be given Thor's power, then try a determine who is more worthy of the hammer? 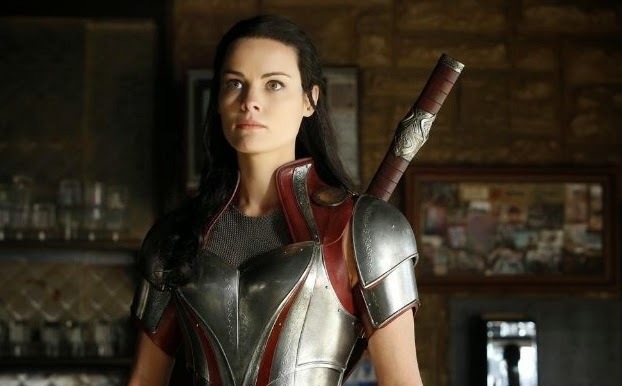 Why does Thor have to be disgraced in order for a woman to move into his role? This decision just cements my belief that there is nothing left in modern comics for me. I'm done with everything except back issues, and those are from last century. Sounds to me like more flailing while sales numbers drop. Not willing to truly experiment with new characters or possibly retiring an old standard that has outright stale. Or properly analyze whether there are issues with the business model rather than content. And you know that this will be retconned out of existence within a year or two. I don't think it will even last a year. Once Avengers: Age of Ultron comes out with Chris Hemsworth as Thor, Marvel will change back to the male Thor so as to tie in with the movie. Which makes this even more an obvious, and ill conceived, stunt. In my opinion, there are two problems with the present day comics industry. First would be the price. At $2.99 or $3.99 per issue, the single issues are in now way affordable. I understand that prices go up, but this is just too much. Superman #75, for example, came out 22 years ago and cost $1.25. Superman #29 (of the New 52), which came out this year, costs $2.99. In no way is the price of producing a comic issue increase 139% in the intervening years. Secondly, the premise that every issue might be someone's first has been abandoned, so you are automatically excluding any new readers after issue #1 is off the shelves. Not exactly a great way to run a business.